Dermalogica AGE Smart™ Power Rich is a potent moisturizing treatment that stimulates collagen production, helping to increase your skin's firmness and elasticity. Firm, resilient skin is supported by a matrix of collagen and elastin, which are the skin’s strong yet pliant 'building blocks'. As you age, these building blocks lose their integrity, resulting in your skin appearing and feeling thinner, looser, with the development of wrinkles. 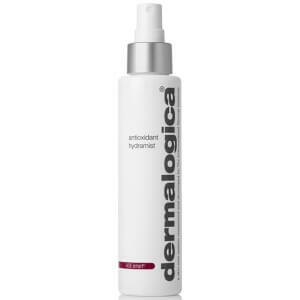 Dermalogica AGE Smart™ Power Rich uses ingredients such as red seaweed to help firm your skin and reduce the appearance of fine lines, yeast extract to help stimulate wound healing, collagen formation and oxygen utilization in skin, and rice bran, to aid in softening and exfoliating your skin. It rebuilds your skin through its unique, technology and when used daily for 30 days, this remarkable product stimulates cell regeneration and turnover for a fresher, firmer look. Smooth over your cleansed skin morning and night. Concentrate on areas with signs of visible ageing to restore resilience and strength. Allow to absorb for one minute before applying make up. smoothed out my skin surface, thickened my weakened skin and did not irritate!